Bullying Macho Parliament, No Place for a Nice Girl? 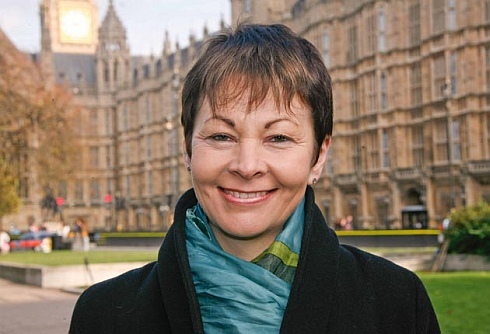 There was a really interesting interview with Green MP Caroline Lucas in Saturday’s Guardian. That old boys’ club ‘Yes, Dear’ attitude is not unusual, even now. But we have some really great, talented women in Parliament. They’re still woefully under-represented though and there are those of us working hard to change that. Another interesting phenomenon happened this week. The leader of the Green party Natalie Bennett, had a few off days and gave a couple of duff interviews. Yet the membership sign up to the Green party had a wee surge following that. Isn’t that interesting? I think it’s because Natalie just held her hands up and agreed with the criticism. I don’t know the gender break down of those sign ups but I’d hazard a guess a fair few were women who are fed up with the old boys club way of doing things. Making a mistake wasn’t the end of the world for those new sign ups; they appreciated that she didn’t bluster and try to blame someone else. Refreshingly different to most of what we hear on TV and radio with carefully crafted ripostes and a culture of ‘soundbites’. This is not a party political broadcast on behalf of the Green Party, merely some observations on the macho way our parliament works and how at least one woman is managing to rise above it. Imagine how it could be if it was 50:50? RenewYou is my international, inspiring, one day course for women – check it out here.